A month after my return from the residency I am still processing all that is India, from color and sound to the enormous generosity of the people. Invited by artist Madvhi Subrahmanian the 7 residency artists gathered in Dehli from different corners of the globe and continued our journey together for 15 hours by train to rural Maihar,M.P. in the middle of India. We were greeted by our host Ambica Beri and welcomed us to Art Ichol, the bucolic setting that would be our home and studio for the next 2 weeks. The theme of the residency was exploration and experimentation within the format of large ceramic sculpture. It was our collective hope to each make and fire a large piece to leave behind for the sculpture park within a 10 day time frame. The group was well chosen by Madvhi as we were all work maniacs and up to the huge challenge! Work was made, a wood kiln was built, several kilns were fired and some of the works survived with flying colors! We got to know each other as we worked, ate, shared slides of our work and did some sightseeing during our memorable time in Maihar. 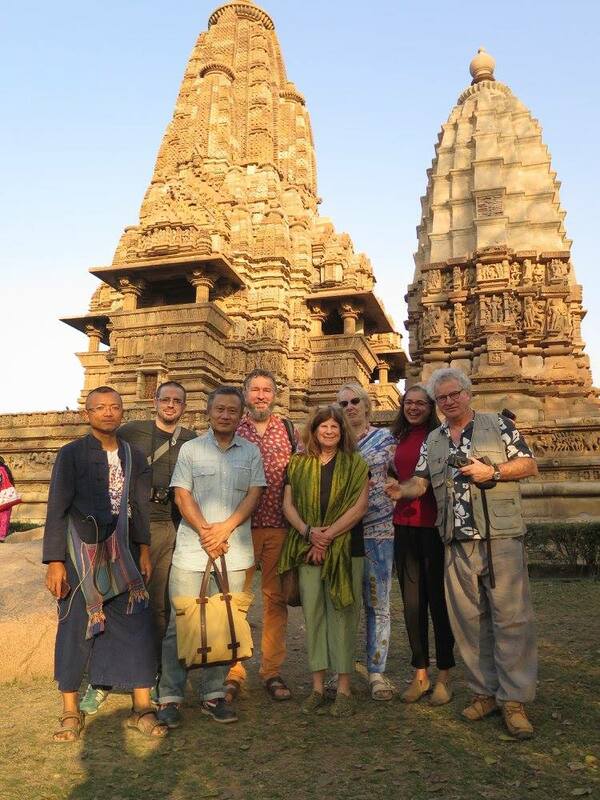 Returning to Dehli at the end we had a one day symposium with Indian Ceramic artists. Slide presentations were shared and cross cultural topics discussed. I was very impressed by the excellence of the works and presentations of the Indian Artists. There is something familiar among clay artists wherever one goes in the world and we all connected easily as if we already knew each other. I took over 1000 photos and am still sorting. You can view a few of my impressions of India on Instagram and a journal of our work during the residency which is public view on my Facebook page. Eventually I will post an album on Flicker for anyone interested in seeing more. But for now the studio calls and it's back to work inspired and refreshed by all that is India!